I can’t belive Astrid is 13 months now! 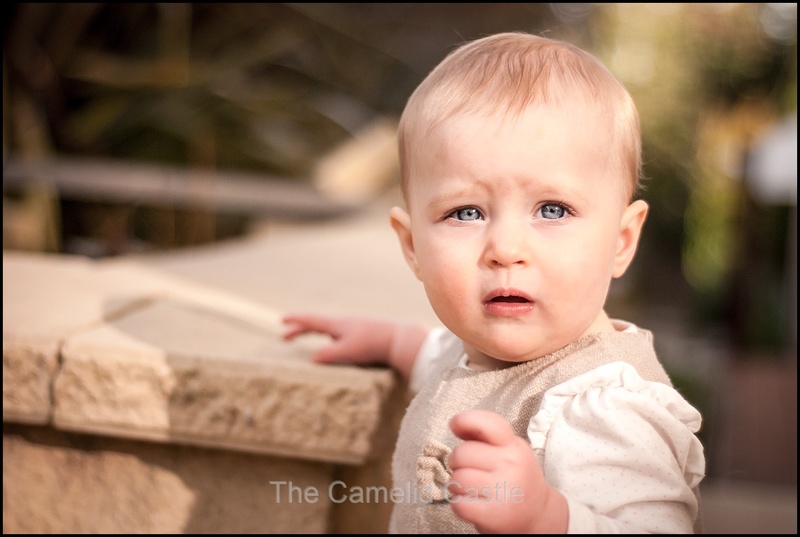 She took her first solo steps at about 11.5 months but didn’t really do any ‘walking’ on her own until about a week after her first birthday. At first we could encourage her to do a few steps walking between us. Lots of clapping and getting excited about her walking was great encouragement. Then she started doing 7 or 8 steps between people. After a few days she would walk between any objects, furniture or walls without any problems. Within a week she was toddling all over the place, still a bit zombie style with the arms out-stretched and babbling, but very cute! Now there is no stopping her. She pracitally runs and loves to carry things around with her. We just purchased her first two pairs of shoes, which makes it easier to go outside when it’s a bit chilly and damp. Here are some pics of Astrid out and about in our yard, enjoying the fish and the water feature. She is starting to look very grown-up! 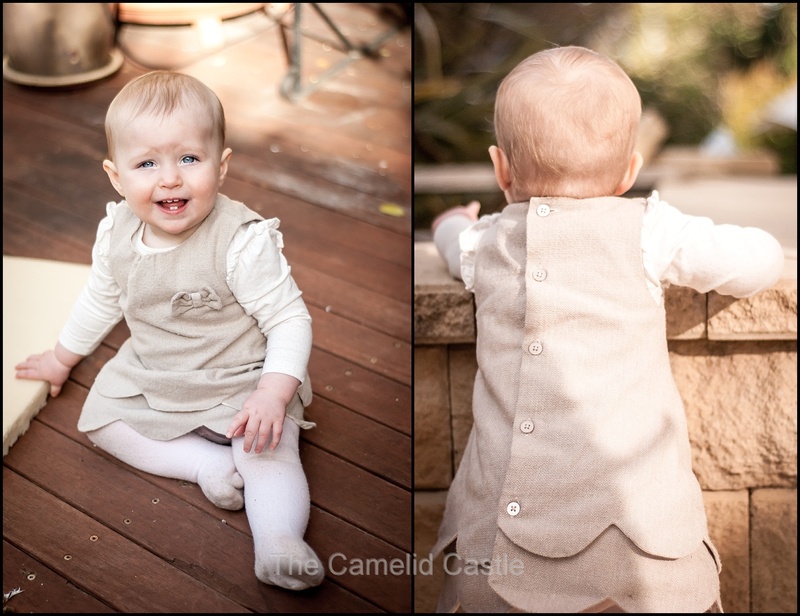 Posted in 1 year, 13 months, Astrid, baby, kids, outsideBookmark the permalink. 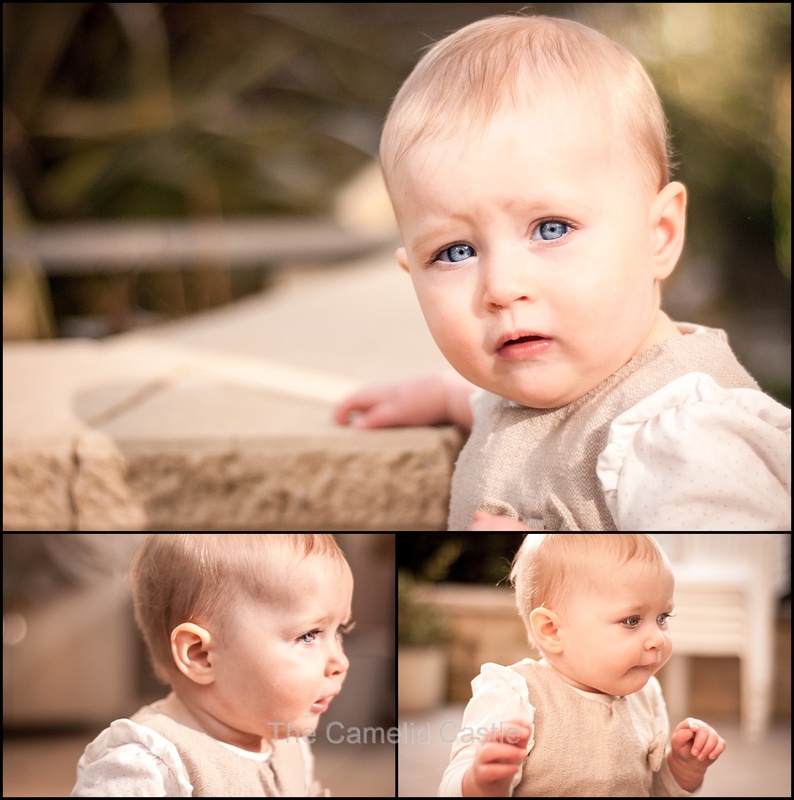 Lovely photos – Astrid is looking very grown up. Out of curiosity, what camera and lens do you use? Thanks April! I use a Nikon D80 (hardly that up to date, these days, but it's still pretty handy! ), and these were all taken with a Nikon 50mm f1.8 lens. I do most of the macro photography (flowers, insects and some portraiture) with my Tamron 90mm f2.8 macro lens. Both take great photos are probably the two lenses I tend to use the most. You really like the Tamron? I am currently debating between a Tamron 90mm Macro and a Canon 100mm Macro. I really should take more photos with my 50mm f1.8, but I never think of it, and the zoom is handy as to not disturb the prescious one. Yep the Tamron 90mm Macro is excellent, great bokeh, really sharp and produces fantastic creamy tones if you nail the exposure. I deliberately picked that lens for macro stuff and it gets lots of use. It's pretty heavy and the focus can be finicky when doing really close up shots but once you get used to it, it is not an issue. I have a few zooms but I don't use them as much as the primes any more. I think I'm just in the habit of using primes.